Nick stays with the Weirs after a fight with his father and the geeks go to a make-out party. 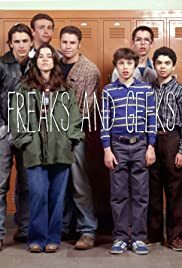 How many episodes of Freaks and Geeks have you seen? In the first episode, when we first meet the freaks, the background music playing is the song "You Really Got Me", instead of "Runnin' With the Devil". Also in the first episode, there is a scene added in which Kim comes up to Sam, and jokingly asks him if he wants to kiss her. Sam stops, not sure what to say. Kim then pushes him away, saying "In your dreams, geek!" This scene occurs right before Lindsay asks Eli if he wants to go to the dance with her. In the episode "Noshing and Moshing", the song that plays during the final montage is "Only Love Will Break Your Heart" instead of "You're Nobody 'Til Somebody Loves You". Q: What are the songs played in Freaks and Geeks? I just started watching this show lately now that it's on Fox Family Channel. I saw one episode before, where the kid is the mascot for the basketball games and all. I love this show! I think it's one of the funniest shows I have ever seen in my life. The characters are the best of almost any series I have ever seen as well. I especially love Haverchuck...he cracks me up. The show deals with kids who are sort of outcasts in high school in 1980, and what outcasts they are. You have the rebel sister and the dorky brother in the main family in the show, and they both will make you laugh. I think the biggest laughs come from Sam and his friends. They are sort of geeky, but they try their hardest to be cool, and they talk constantly about getting chicks and how hard it will be. In one of the episodes, they think Neal's father is having an affair, and Haverchuck says," I don't even know how you get one chick, let alone two." or something to that effect. This is a great show, and it saddens me to see that NBC screwed it up with it's horrible scheduling and promotion. 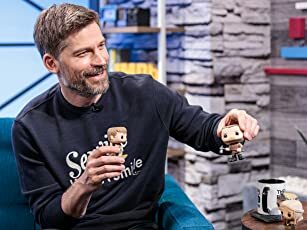 The show deserved much more of a chance than it had, because it's one of the best shows to come along in years, but leave it to the networks to screw up a great thing. 75 of 85 people found this review helpful. Was this review helpful to you?